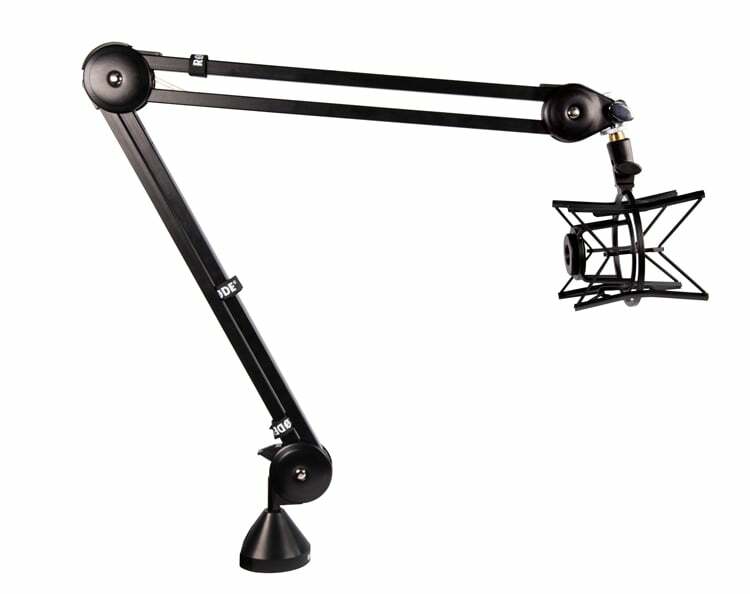 The Rode PSA1 is a professional studio boom arm for radio, broadcast, studio, and home use. If you are a caster then you know how important it is to have your mic in the optimum position for sound quality and comfort. The last thing anyone needs when recording is to have to think about the mic placement. That is where the Rode PSA1 professional studio boom arm comes into play. This humble boom arm offers a horizontal reach of 820mm, a vertical reach of 840mm and full 360-degree rotation. 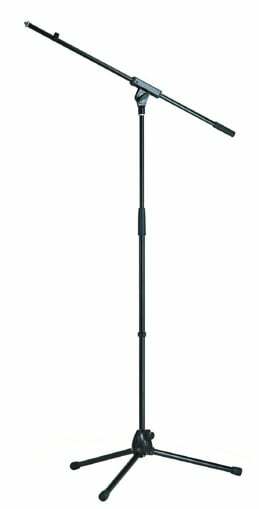 Mount your rode psa1 professional studio boom arm, place your mic and get ready to record. 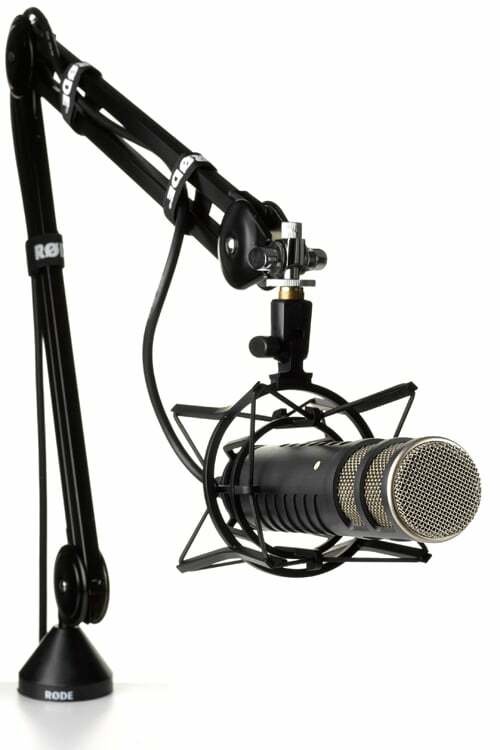 Rode have made quality Mics and accessories since there inception in 1967, a forward-thinking Australian company and that brings reliable technology to the diverse modern day market. They are industry leaders for a reason and if you own Rode products already then you’ll know the solidarity of Rode products. 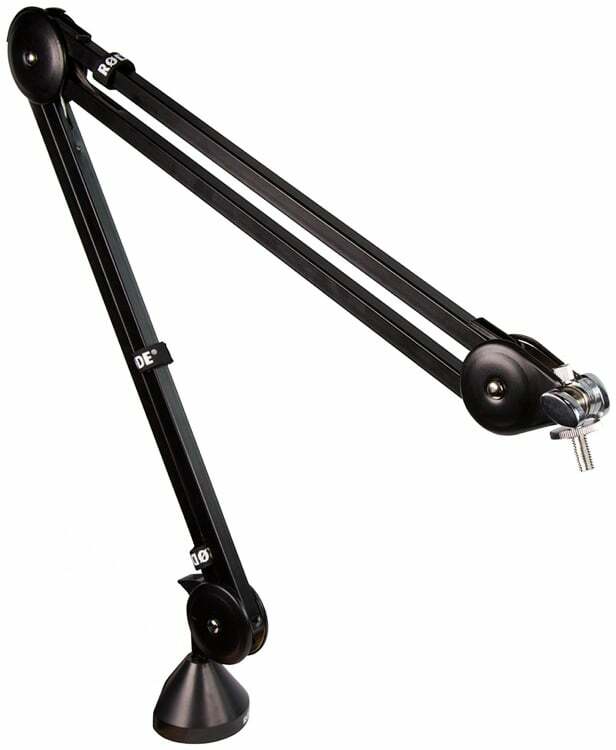 The Rode PSA1 professional studio boom arm is no different. 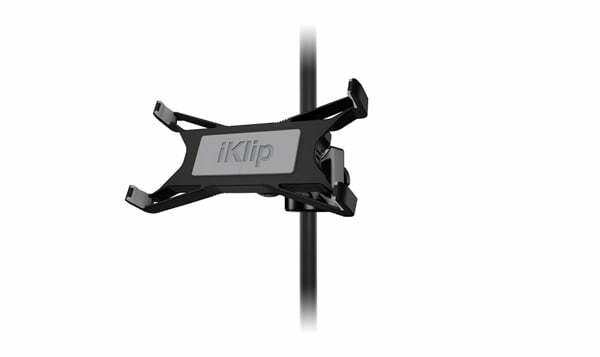 Supplied with re-useable cable wraps and both desk-clamp and desk-insert style attachments for versatile mounting in desks up to 55mm thick (clamp) or 70mm (insert). 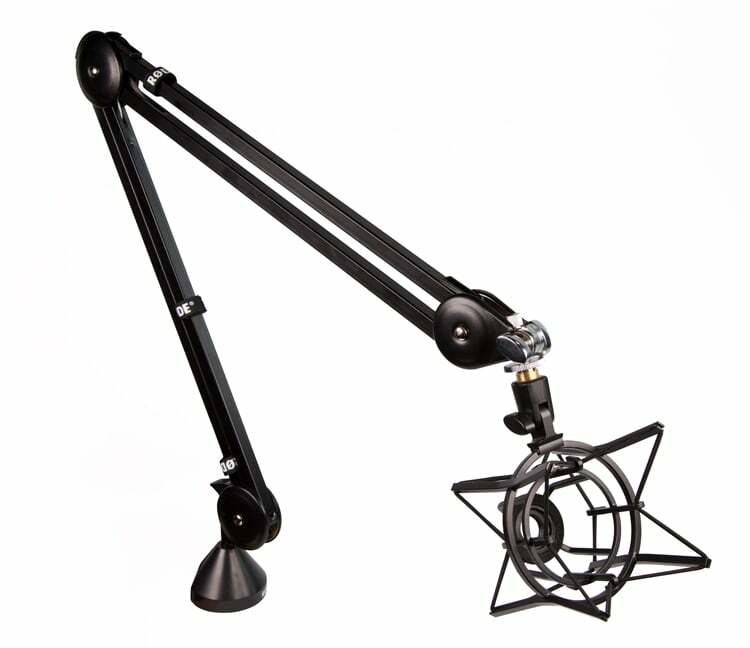 Designed for the RØDE Procaster and Podcaster, the PSA1 supports most microphones weighing between 700g and 1.1kg when combined with shock mount. 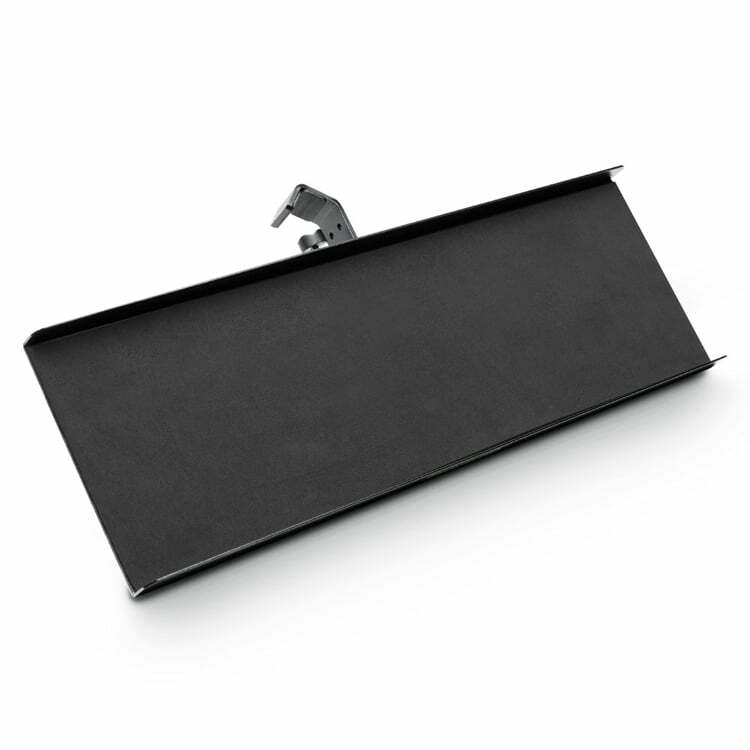 The rode psa1 professional studio boom arm is a perfect solution for a modern day caster. The PSM1 shock mount is sold separately.